In order for our customers to use Fukuvi Chemical’s products safely and with longevity, a high standard of quality is a necessity for us. Aside from residential building materials, Fukuvi Chemical also creates products across a wide-range of fields, such as electrical equipment, industrial machinery, and automotive parts. In all of these fields we strive to make top-quality products which will completely satisfy our customers’ needs. 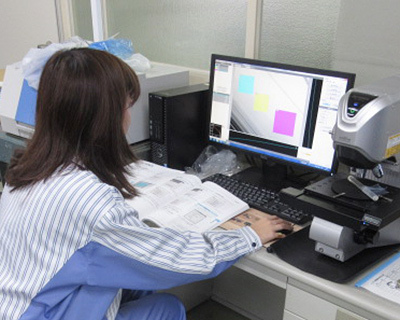 To ensure our high quality, Fukuvi Chemical uses precise measuring equipment and analytical systems. Additionally, various testing methods are used, both in and out of the factory, and we have created many systems to verify our products’ abilities. 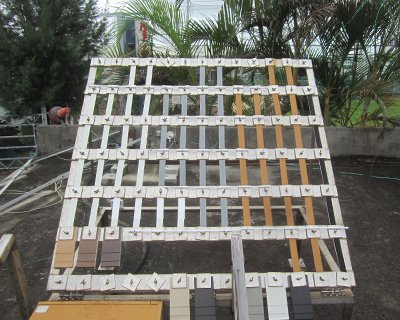 Testing our products not only indoors, but outdoors as well, allows us and our customers to see how they will hold up under various weather conditions over a long period of time. These manufacturing methods produce top-quality products which enhance the satisfaction of our customers. Recently there has been a trend of renovating homes in order to increase their longevity. 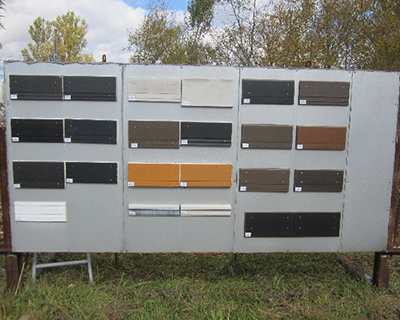 Building materials used for housing are in high demand. Additionally, the need for products and construction methods which allow homes to be renovated easily has increased. 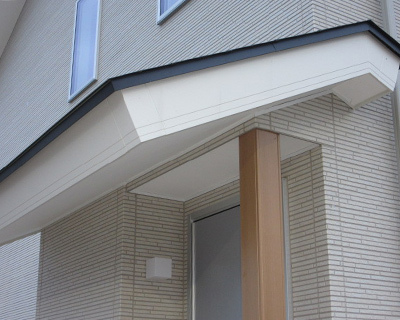 Fukuvi Chemical, while increasing the durability of its products, is diligently working to create new building materials for renovations as well as developing new construction methods in order to meet the demands of builders. Semix LH is a long-lasting decorative trim for homes. Unlike traditional wood trims, this trim will never rot. The paint used on the outside of these trims also has an extended life and is weather resistant. The ability to easily inspect utilities is also important for increasing the longevity of homes. We offer an extensive lineup of inspection panels that seamlessly blend into the home, making them feel invisible while allowing easy maintenance and inspection. 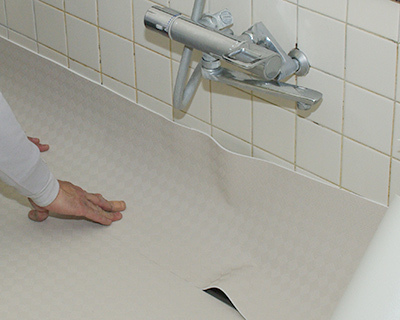 We’ve developed cushioned, anti-slip flooring for bathrooms in order to increase safety. Besides alleviating the worry of fall injuries by the elderly, giving families peace of mind in their homes, this product is also easy to install for builders. It is also available in many colors and designs. The Fukuvi Group manages numerous supply chains related to both our manufacturing process and wide breadth of products and services. If a natural disaster were to occur that disrupts our production and business activities, it could cause a large effect over many business areas. Even if such a natural disaster occurs, it is our utmost priority to resume business activities and meet our obligations as soon as possible. 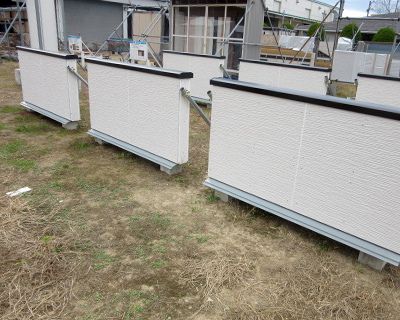 The Fukuvi Group has put measures in place to deal with manufacturing and supply chain management in the case that a natural disaster occurs, in order to still satisfy our customer orders in a timely fashion. Fukuvi has the doctrine to always be a company which is evolving, growing, and creating new, distinctive technology. This vision is held by all members of the Fukuvi group companies, which strive towards this goal in their daily activities. As a development-oriented corporate group, we continue to add new value to our company while thinking as “One Fukuvi” on a global scale. Fukuvi Chemical’s first doctrine is “absolute quality.” It is our duty as a manufacturer to deliver quality products which are safe and affordable for our customers. In order to realize this vision of quality, we prioritize a quality management system as a main focus for our company. As the core of our quality management system, Fukuvi Chemical’s head factory and the head development division follow the ISO9001 criteria, and received certification in August 1997. After this we increased the number of our facilities and offices which follow these criteria as we strive for continuous improvement. Moving forward we are constantly monitoring and updating our quality management system; considering our customers’ trust and satisfaction as our top priority. Target Departments and Facilities Management Department, Quality Assurance Department, Development Department, and General Manufacturing Departments (Manufacturing planning division, Materials planning division, CSE division, G-Project implementation division, head factory operations, Osaka factory operations, Sakai factory operations. Apply our quality methods across all areas of our business, insuring the proper quality levels based on the sensitivity of each area, while striving for continuous quality improvement. Each business area will work to identify any existing flaws and deal with them promptly. Assess and strive to eliminate any risks with our products, giving our customers peace of mind that they can use our products safely throughout the product’s lifecycle. Create products that fit the current market’s demand, ensuring the right quality, speed, price, terms and conditions, and specifications to meet our customer’s needs. Gain a thorough understanding of the market demand and our customer’s needs in order to choose the right quality, service-level, human resources, infrastructure, and management systems for each project. Conduct thorough research both before and after market release, guaranteeing that no matter what environment they are used in, the functions and physical properties of our products will not change, ensuring high-quality products. Respond swiftly and appropriately to any problems or complaints, while thoroughly investigating and analyzing the origin of the issues. We reflect this willingness to analyze issues and grow through all areas of our business, including technological development, supply chain, manufacturing, distribution, etc. Review and revise our methods constantly in order to ensure effective implementation of our quality management system in all areas of our business.